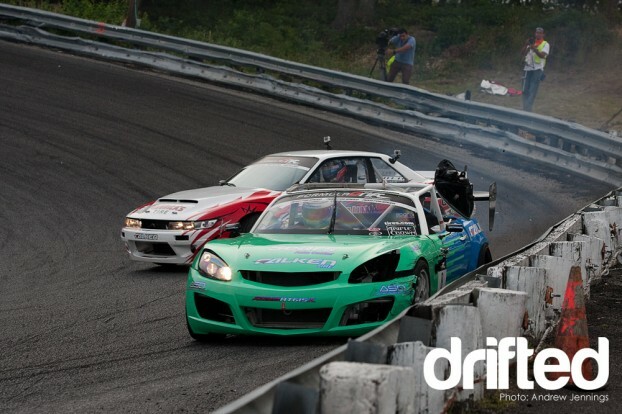 At Round 3 of the 2010 Formula Drift Pro Championship, Darren McNamara found out the hard way what can happen when you meet the barrier at Wall Speedway. Click past the jump to see a video compiled from stills of the crash that show the action frame by frame. Also, if you haven’t already, be sure to check out my full write up of this year’s main event. Enjoy. Note that the following video does not have any sound since it was put together using still photographs, rather than an actual video recording.